The Hansa Fish 2016 is fast approaching and the committee is hard at work to ensure that your experience is a memorable one! We are still taking late entries, until 5pm on Monday 3 October. Entering is quick and easy via the race website, followed by an EFT with your correct reference details. 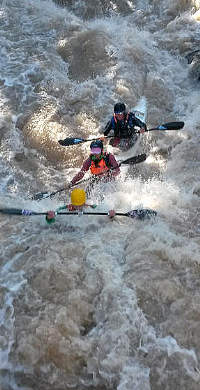 Click here to enter the full race in a K1 or K2 or K3 or the short course in a K1 or K2 or K3. The confirmed entries can be viewed here, it is a list that is easy to search if you want to see who else has entered the race! Prize money has also been confirmed – a whopping R231 000 in cash prizes has been confirmed across all the classes – read more here. To get you into the mood – Hansa Pilsener have set up an awesome competition at the Hansa Fish 2016 – just post a pic of yourself and your mates enjoying an ice cold Hansa and the best pics will win awesome prizes like GoPro cameras, Funky Pants and paddling kit! Some great prizes on offer and you just have to drink and snap in order to win! 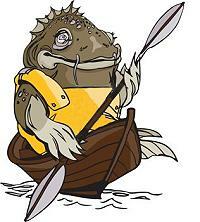 Check out all the info on the competitions page on the Hansa Fish website here! Registration opens at 2pm on the Thursday at the Cradock Sports Fields and will be open until 7:30 pm. The Fish Forum takes place at 7pm in the marquee on the rugby field at the Cradock Sports Grounds. Be there to get the latest safety info, we will chat about the new Baroda Weir, meet some of the international paddlers, and stand a chance to win some of the great lucky draw prizes. Saturday will once again see the reversed order start with the leaders setting off at 11am, finishing just after 1pm. We will have a commentary team in place this year to provide live updates from the river so you will be able to relax on the grass bank and enjoy the closing stages of the K1 title races!! The prize giving will start at 2:30pm, and is always a lot of fun. Then we gather in the marquee to watch the Springboks play the All Blacks at 5pm, before we get into proper party mode to enjoy the Hansa Party Night with Rubber Duc and Desmond and the Tutus. Where things can go very wrong for a lot of the paddlers (irrespective of level, from top, to intermediate, to social to novice, be it a K1, K2 & K3 alike) is the approx 11kms of Willows on the first day; where your craft and river reading skills will be called to attention…regularly! Combine the tight, narrow, technical, tree laden, at times unseen view ahead with the on-river traffic/pressure from other craft and you’ve got a serious hazard. If you make a mistake, you WILL swim and you will swim a long way. Hint, if you have made the mistake of getting on the outside line, remember to lean into the obstacle and in this 11kms of willows, the obstacle will come in the form of a branch &/or thorn bushes… you get my point.. pardon the pun; rather take the pricks than swim! Read the full safety chirp here. Final race details and batches will be posted next week. Until then train hard and start the taper!